DEKSI Network Administrator is an advanced, powerful, and feature rich network mapping, monitoring, management, and administration software solution. 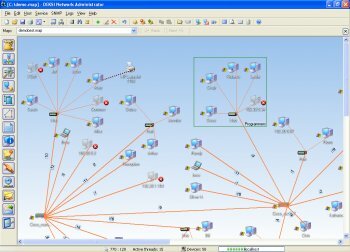 DEKSI Network Administrator generates a network map, which speeds up accessing to remote hosts' properties and resources. Scan your network, find hosts, place them on a network diagram, and monitor their state. 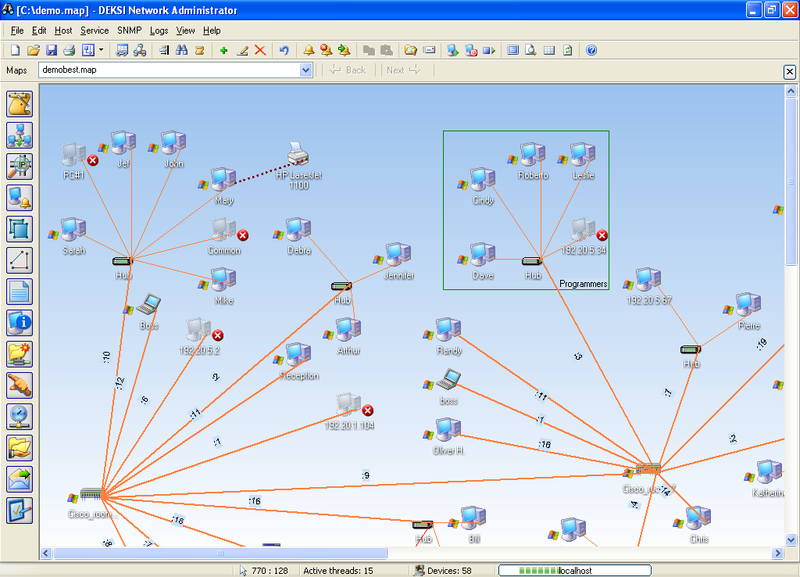 DEKSI Network Administrator can export a network diagram to a graphic image, Microsoft Visio, as well as an XML scheme. Holy hunk of crap, Batman! TOTALLY FREE. no hidden costs, timeouts, or ridiculous pricetags like this idiot is posting.